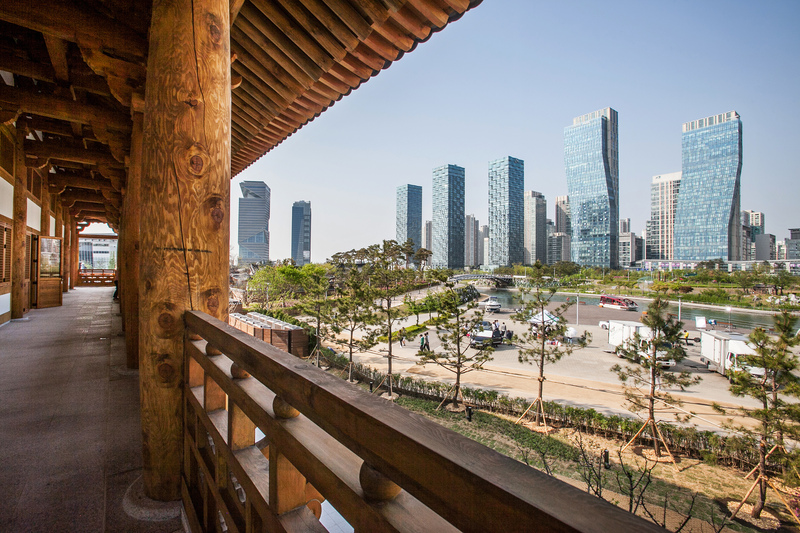 Gyeongwonjae Ambassador Incheon presents a beautiful scene of elegant Korean traditional architecture set amid a forest of modern buildings in Songdo, offering five-star hotel services. The hotel features 30 comfortable rooms, suites and villas and 1 restaurant, 2 banquet hall with free WIFI. The hotel is surrounded by numerous attractions, including Songdo Convensia (Convention Center), Jack Nicklaus Golf Club and Shopping mall. The hotel has the added benefit of being close to the Incheon International Airport (only 25 minutes away by car) and Subway station(walking for 3 min). 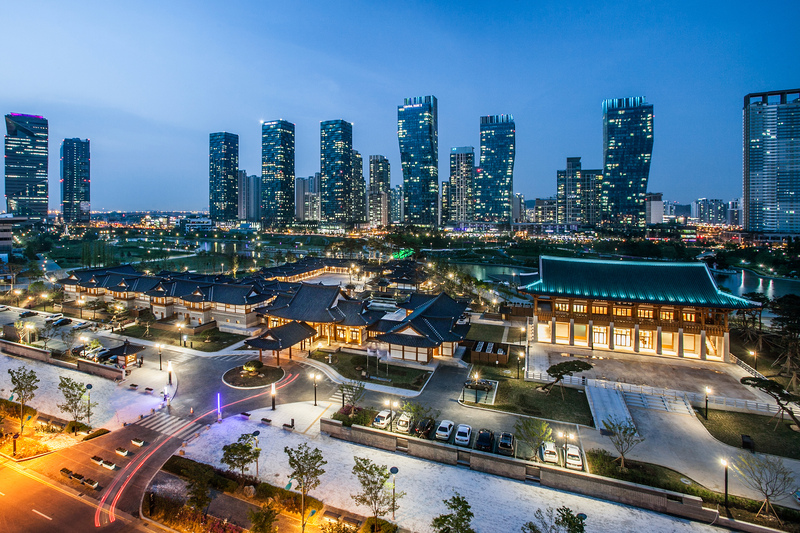 Songdo Central Park, which consists of attractive green spaces and waterfront areas, encircles the hotel like a folding screen, creating a picturesque view. The antique-looking wooden columns and the layers of the tiled roof exhibit the style of an elegant traditional house. 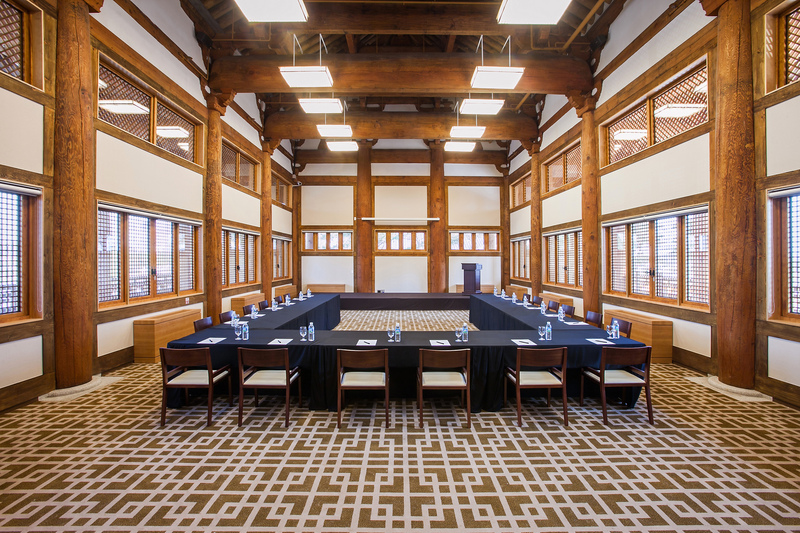 Gyeongwonru is a majestic banquet hall ideal for holding diverse events such as conferences, seminars. 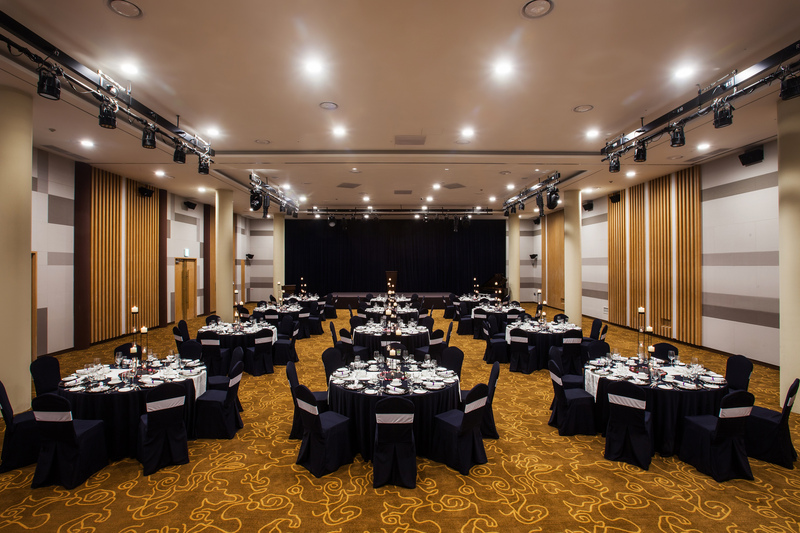 Arirang Hall is a large banquet hall that can accommodate up to 300 people. It features a modern, refined interior and is equipped with state-of-the-art screen and sound effect equipment. Youngbingwan, a multi-purpose hall located on the 2nd floor, was built in a traditional architectural style to provide a unique banqueting space. Notably, it has a wood-floored porch that can be used as an outdoor terrace space, and can accommodate as many as 80 people. 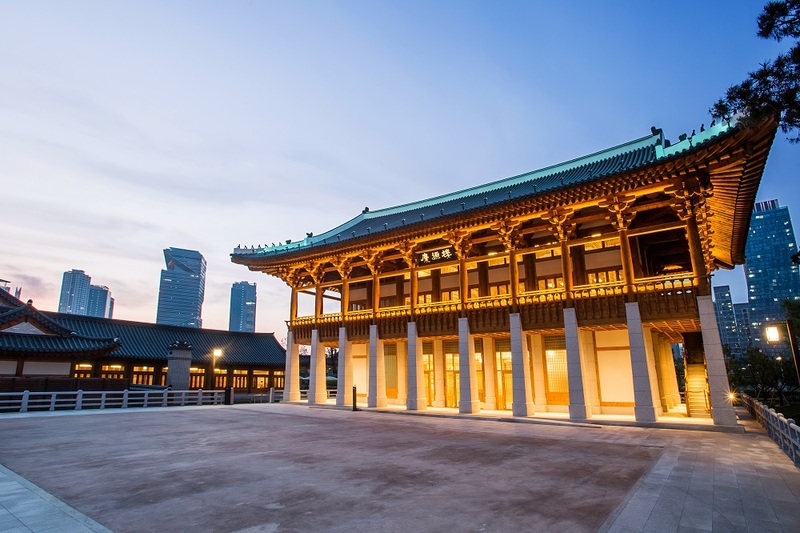 The front courtyard of Gyeongwonru can accommodate up to 500 people, and is ideal for various outdoor events and traditional wedding ceremonies against the attractive backdrop formed by Gyeongwonru. 2015 International Sports Relations Foundation Forum, 2016 Asia Amateur Championship, Korea-China KJ Symposium etc.